I’m pretty candid here on the blog talking about my father’s death. I’ve written about the things I’ve learned, and wish I’d told him. I’ve talked about celebrating my Father in Law instead of my dad on Father’s Day. However, now that my husband and I have a child, Father’s Day has a renewed spirit for me. I’m able to focus on the joy that my husband brings to our family, rather than the loss of my dad. I’m finding myself eagerly thinking up great crafts and project for our son to give my hubby this year, and all the years to come! 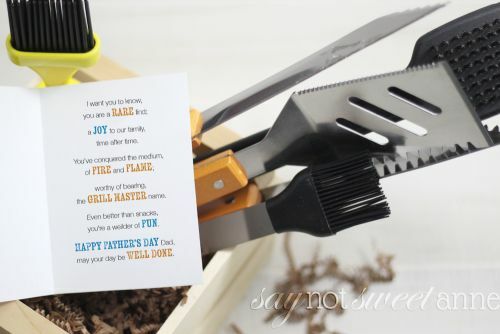 I know several of the stereotypical Father’s Day gifts are grill related. Grills, seasonings and rubs, grilling aprons or grill accessories. I’m not usually one to follow trends but hubby and I have just redone our deck and he explicitly asked for grilling accessories this year. I happily complied (as it will mean lots of delicious food for me!) and put together a simple grilling kit. It has a spatula, tongs, grill oil brush, sauce brush, and grill cleaning brush (From Amazon of Course). Of course, any gift of mine wouldn’t be complete without a matching printable. So I put on my poetry hat and wrote this punny poem! 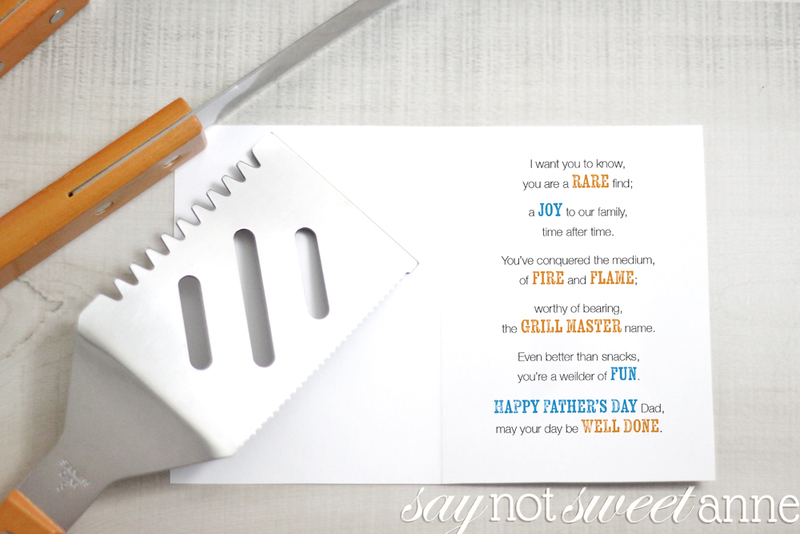 It is full of “dad” jokes, and it is totally grill themed! No matter what flame-broiled gift you are giving dad this year, this card is sure to make him chuckle! All grilled out? 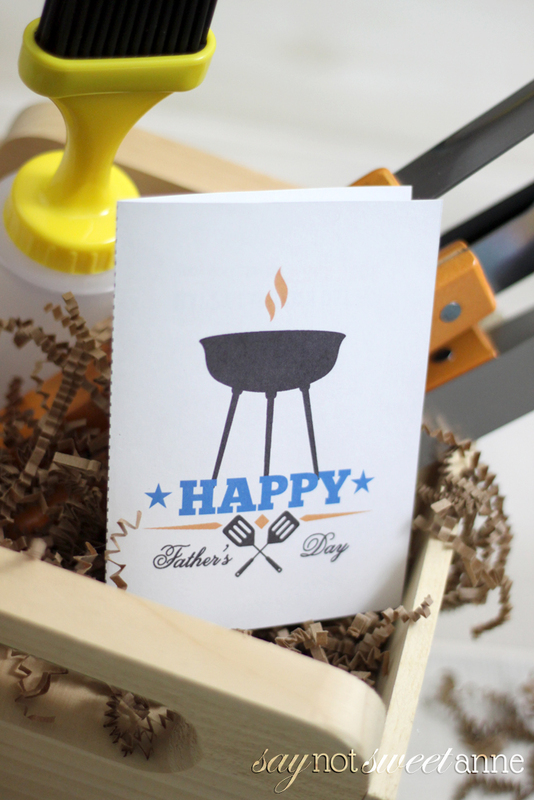 If you’re looking for some great DIY Father’s Day gifts, check out these DIY gifts for men, and these MORE DIY gifts for men!